This recipe came from our school. One of the mothers made this for an Easter party at school and distributed the recipe. 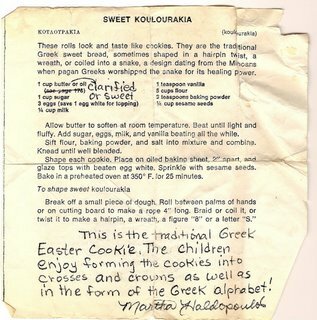 Do you know if you can freeze Koulourakia?